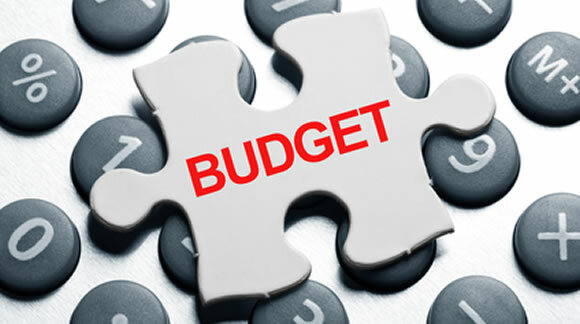 The fact is, drawing up a realistic and well thought out budget is simply key in creating an organizational focus. A business budget clearly lays out, in black and white, how your company expects to perform in the immediate future. Your budget vividly collates various pieces of the business puzzle including expected sales, expenses and funding requirements and comes up with an educated prediction of performance. Compare it to last year. Present it to potential financiers. Use it to motivate employees – your budget has a little something for everyone. Beyond the rather fuzzy notion of budgets helping to bring together company management so that they all share a unified vision and have something to talk about down the pub before the third pint kicks in – budgets have many SERIOUS uses. Such as securing finance. If your company relies on banks or Dragons Den type venture capitalists to raise funds, try doing so without a detailed and convincing budget. Seriously, just turn up in front of Theo and Duncan and James and that grumpy woman without a clear and concise plan detailing with numeric precision why you’re such a good punt. You’ll be destroyed. Eaten alive. Humiliated. See, whether it’s the Den or your local bank, you need to present a good budget to have even the slightest hope of raising cash to grow your business. More so today than ever. How much cash will the company need to fund its current operations as well as new projects over the coming year? How liquid are the company’s assets? How comfortable will cashflow be? Don’t be lulled into thinking everything’s rosy just because the budget happens to be boasting a bottom line profit. The subtle nuances such as how easily those profits can be turned into cold hard cash to fund core expenses and future operations is key. In fact, that’s the story your cashflow budget will tell. Your cashflow forecasts are an inherently key part of your budget, because a strangling of liquidity and working capital can be serious enough to bring a company down. The Various Costs Associated With The Business – This will include fixed costs. So, what are the salaries paid, rents, insurance and so on. Also, variable costs like materials, utilities, taxes and deliveries. You’ll also need to include any capital investments made (eg machine or equipment purchases). Revenues – This is arguably the most fun part of the budget. The one where you sit a little closer to the edge on your seat, and sip your tea with a little more vigour. Forecasting revenues is also the most tricky part of the budget because it requires a combination of guess work, looking at past trends and having your finger on the very pulse of your business and its environment. When Is A Budget Useless? When it sits in the back of a filing cabinet gathering dust. Your budget ought to be an integral part of your business growth strategy, and like a high maintenance girlfriend it needs a hell of a lot of attention if you’re to get any real benefit from it. It took time to create didn’t it? It took time to collate all those different pieces of data, from various departments into one master plan right? And now you’re just letting it rot at the back of some drawer in between an old, unread copy of The Economist and that Harry Potter book your niece gave you for Christmas? Seriously? If you have the resources, create a monthly budget and compare it to actual numbers for the month. It will quickly address any ghosts of a problem before they turn into a serious and crippling issue. Compare and contrast your sales figures. Variances are to be expected, unless Mystic Meg is on your payroll. Even so, If your sales are notably lower then drill down and find out the reason. Similarly, if there’s an unexpected boost, find out why and see if there’s any way of capitalizing on it. Keep a close eye on costs. If they are significantly higher than expected, why? It may be perfectly fine if higher variable costs are accrued because you just had more building work orders and so had more building materials to purchase and more short term building contractors to hire. But your interest should be raised if generic costs are on the up. And you should be downright curious if you don’t own a building company at all. Compare. Your budget can also be tallied against the performance of your competitors, and against numbers of the industry at large. Budgets And Key Performance Indicators. We touched on it above, but cashflow and working capital are examples of “key performance indicators”. KPI’s will be somewhat different depending on the type of the company and the sea of industry in which she sails but there are some KPI’s that are just universally crucial. They address cashflow (yes, we’re obsessed with cashflow here at ibusinessbuzz), gearing, underlying profitability and return on investment. So you see, budgets are indeed very important in each and every step of your businesses life. Starting it. Growing it. Funding it. And measuring it. Just like every successfully managed, happy family will have some way of budgeting – of making sure that there’s enough moolah to pay the Tesco shopping, gas and electric, pay the mortgage and still have enough money left over for young Billy’s surprise birthday trip to Disneyland… so every business too needs a loving parent who’s keeping an eye on things and making sure that on a very broad level, everything’s going all right. So what’s it going to be? Plan? Or Fail?